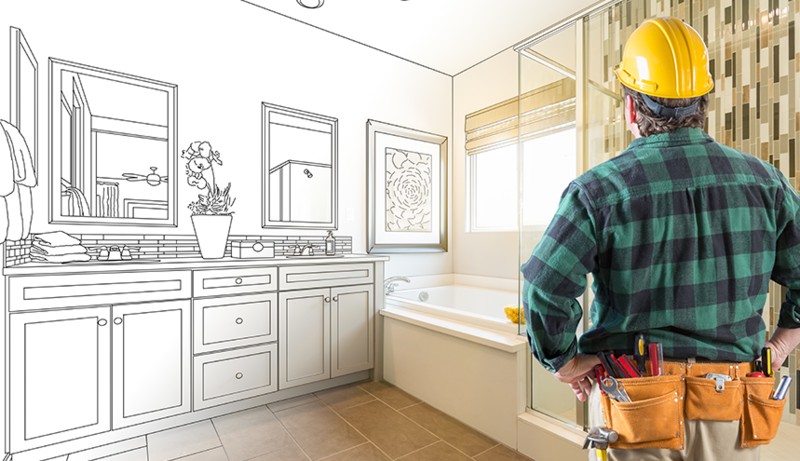 A home renovation can be stressful: there may be surprise expenses, it may take longer than you thought, and there will definitely be constant noise and activity in your home. To make sure everything goes as smoothly as possible, there are a few things you need to know before you get started. If you’ve just moved into your house, you may have big plans on how you can improve it. Instead of jumping in straight away, spend some time living in your home. This will help you understand its dynamics and help you uncover problem areas. Exploring the many possibilities of a home renovation is exciting, but at some point you need to come to a conclusion. Decide which area of your house would benefit most from a renovation — the kitchen, dining room, yard, bathroom, or somewhere else. It may be possible to remodel more than one room, but you’ll only know once you’ve started developing a plan. To ensure that you pick the right place in your home, think about why you would want a renovation there. Maybe your bathroom is outdated, your kitchen cabinets don’t meet your needs, or your yard is too separated from your home. Next, gather pictures you find online or in magazines that look similar to how you would like your home. Use these as a starting point for your own design. A professional designer can tell you if your ideas are possible and feasible. The designer will also ensure that your plan is cost effective, functional, and aesthetically pleasing. You need to make sure you pick the right designer, though. Check out portfolios and narrow down to a shortlist of designers whose previous work matches your style. Then, take the time to communicate with these designers to see who you feel comfortable working with. The designer should ask plenty of questions about your needs and wishes. With your basic design planned out, you need to figure out how much you can afford. This will impact the final, detailed design in terms of things like what materials you can use, which appliances you choose, and whether you can afford extras that enhance your design. To save money wherever possible, plan to purchase low-end unessential decor. However, you should opt for high end when it comes to important hardware. Expect to spend more than your estimate. Adding 20 percent to your calculation should ensure that you can afford the project. This extra 20 percent will cover any unexpected costs. If you end up going under budget, that will be good news! As soon as you begin work on your home renovation, be sure write down every expense. This will ensure that you always remain within budget. Trying to save money by hiring contractors who offer you the lowest bid could backfire. Being willing to work for significantly less than average is a red flag. You’ll likely receive poor-quality work with a short lifespan and will need another home renovation much sooner. The best way to find qualified contractors is to ask people you know for recommendations. If none of your friends and family members in the area have received home improvement work, at the very least ask for references from the contractors. You need to be happy with the final design before contractors start work. A change that may seem minor to you could incur a large amount of additional work — not to mention expense. Discuss what the final design means with your designer (you are not expected to understand blueprints) and discuss any potential adjustments before the work begins. If you’re lucky, you will meet your deadline. However, there’s always the chance that the project will require more work than you initially thought. It is best to be as flexible as possible. For instance, you should avoid planning anything in your home straight after the deadline (such as a party to celebrate the completion of the project). Instead, wait until all the work is finished and you’ve had time to clean up. With the right planning, you should be happy with your home renovation — by no means does this suggest that your project will create the perfect home. However hard you try, there will be aspects that you overlook, things you imagined would look or feel different, and wishes you have that turn out to be impossible to carry out. Realizing that perfection is impossible will save you from disappointment. If you’ve never carried out a full home improvement project before, it could be a good idea to practice with something small. This will help you prepare for turmoil in your home and show you how well you cope. Such an exercise is particularly useful for couples. You may well find that you have a very different style and way of approaching a home renovation than your partner. It is good to learn this about each other before embarking on a major project. To make a big difference to your home without spending weeks on home improvement, opt for sliding glass doors. 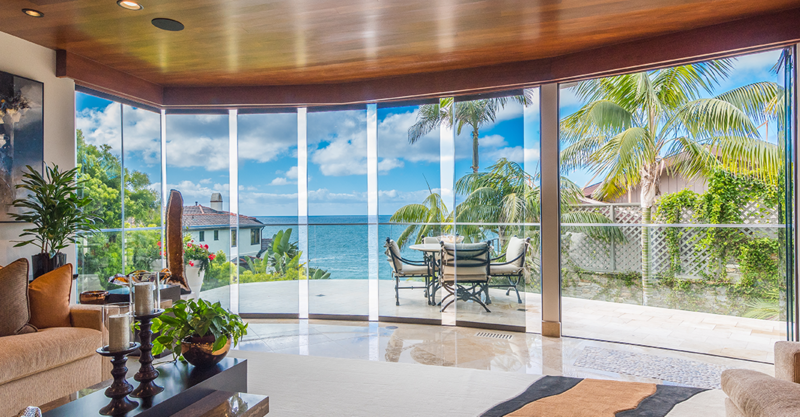 The frameless glass systems from Cover Glass are easy to install — from the glass itself to drainage to keep your home weatherproof. You can turn an entire wall into glass (such as to remove the barrier between living room and terrace) or just a small section (such as a sliding kitchen window). Either way, you’ll improve functionality in your home and enhance views at a fraction of the cost of a full home renovation project.